The presentation of this tasty luxury Snail is long overdue. When Björn Gerdes (Imagency Hamburg) got in touch with me early summer 2009, he was searching for a Citroën 2CV to carry on the legendary tradition in building special Gauloises 2CV. The car should combine both: French nonchalance and latest entertainment electronics. Fortunately we could help Björn. 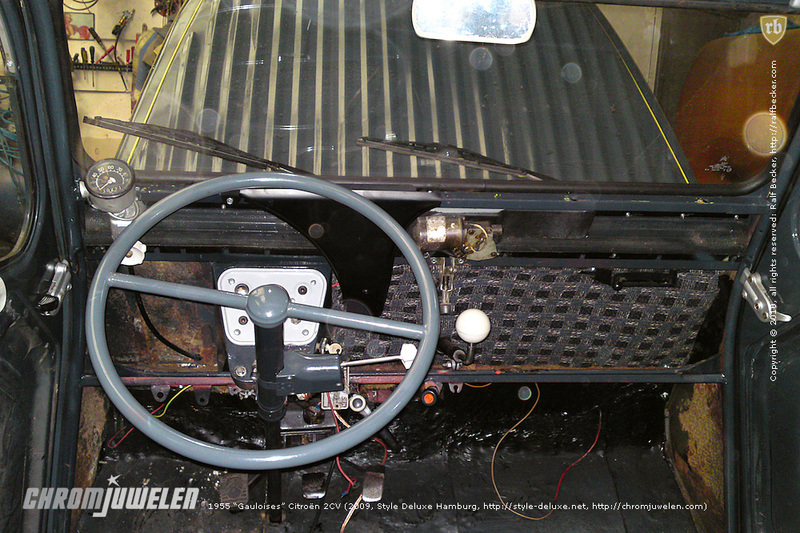 Or to be precise: Oliver Kaps, Style Deluxe Hamburg, was able to help him. 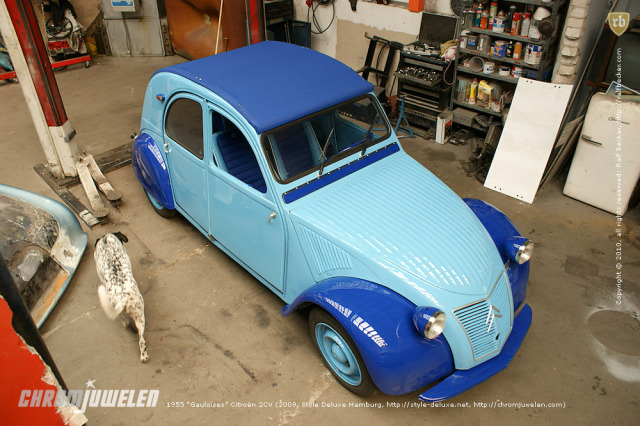 Oliver not only found this beautiful 1955 Citroën 2CV, but also did the customizing. The upholstery has been done by Peter Theobold. Well, with it's new dress this simple daily transport car—which was a revolution in the segment of small cars—isn't any longer able to enter a Concours d'Elegance, but it is much more laid-back instead. For more photos just hit one of the images.